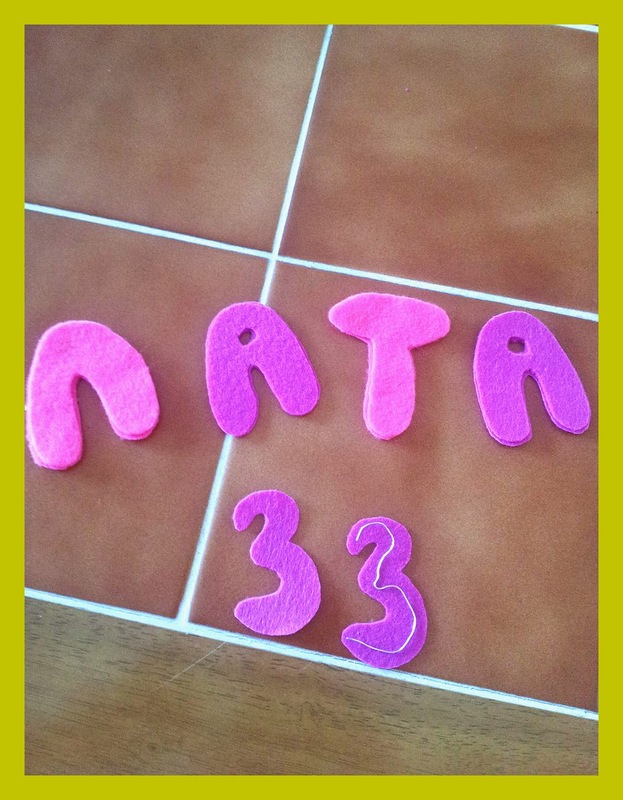 Here is another felt craft with a baby name. This one is made for a baby girl, last year I did a baby name cloud with droplets and if you want to recreate it, go read it here. This tutorial requires a bit more time as it has more details to it, but it is totally worth it at the end. 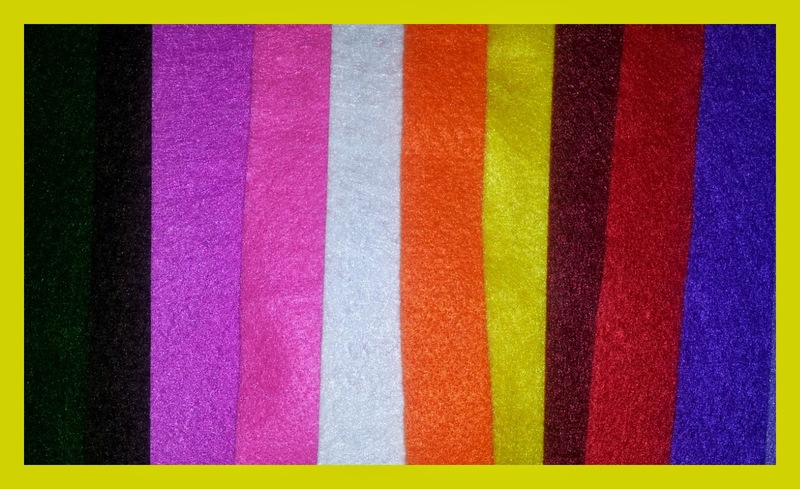 First you need to grab all your essential materials such as fabric glue, felt fabric, paper, scissors, needle, pins, decor if preferred, threads and of course your imagination :) Here are the colours I have chosen for my crafty work. 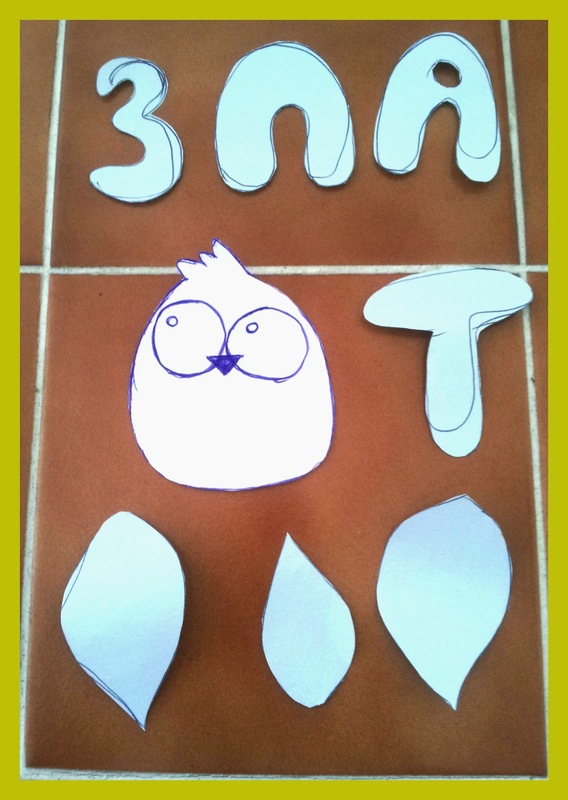 Before sewing, draw and cut out your little birdies (I did 3 birds total but used one paper pattern), all letters: NOTE: to save time and material, do not duplicate letters if a name has any. Last but not least, cut out branch leaves and a branch itself. Next step is to cut out these shapes from your felt fabric. 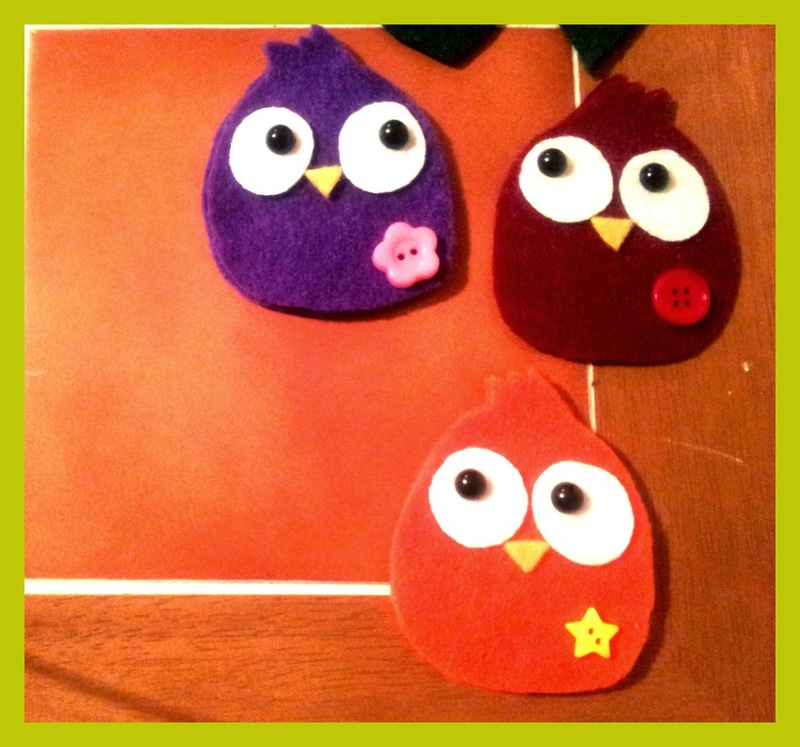 I have decided to make 2 sided birdies so every detail was duplicated, apart from eyes and beak. At this point I like to lay out all the details at its place to have a better idea of where to glue or sew them on. Finally on with the sewing, before you sew 2 sides together, sew the front, in my case using a regular stitch I had placed a decor button at the side of birdie's belly. 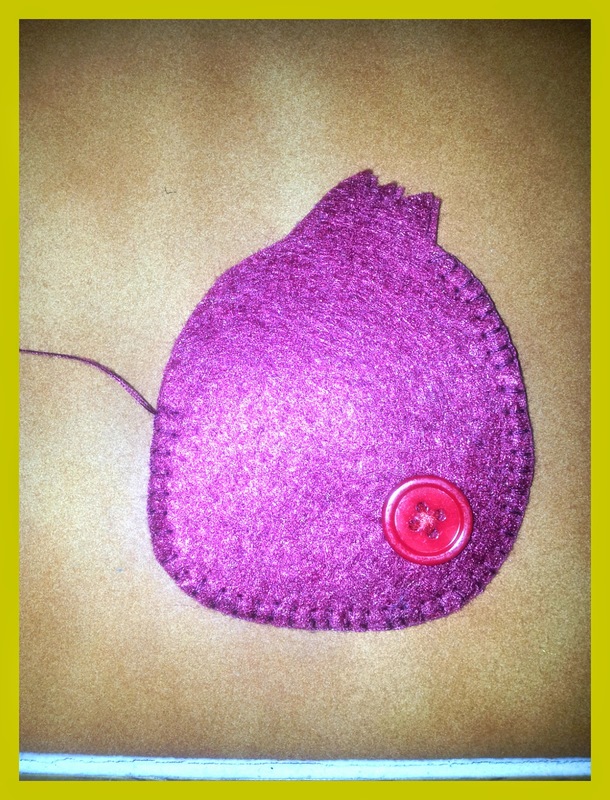 After that's taken care off, using a blanket stitch sew both sides together. 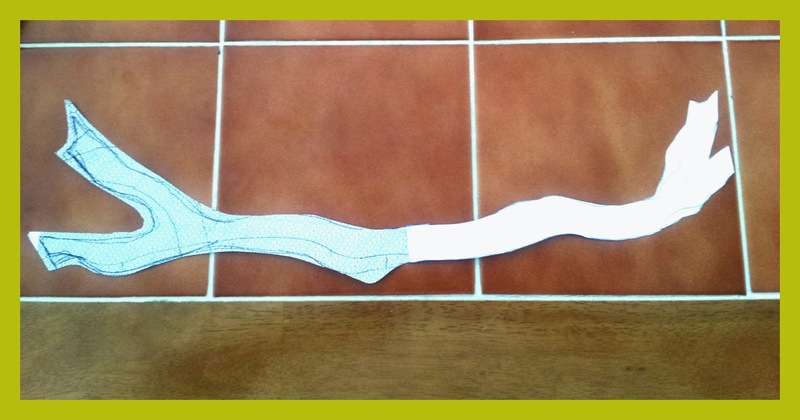 Before you finish, stuff your birdie with your favourite filler and sew it up to the end. 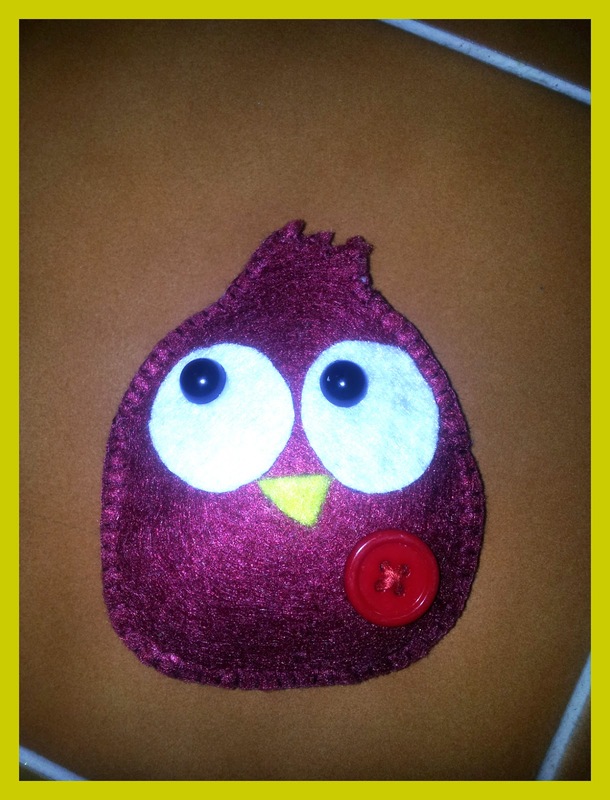 When you are finished with sewing, use a fabric glue to glue on the eyes and the beak onto its place. For the black eye part, you can either cut out 2 black circles out of felt or use plastic half spheres if you have them- which is what I did and you are done with your birdie. 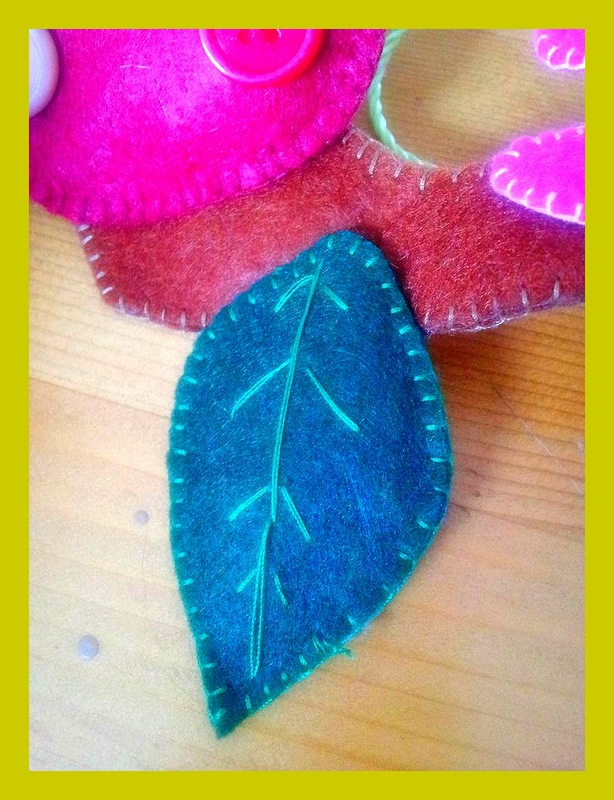 The same technique applies to the branch, cut out two identical sides of the branch from your felt fabric and using a blanket stitch, stitch the sides together parallel to stuffing it with cotton. When you are done, do the same with leaves, but before stitching both sides together, use a regular stitch to create leaf veins in the middle. 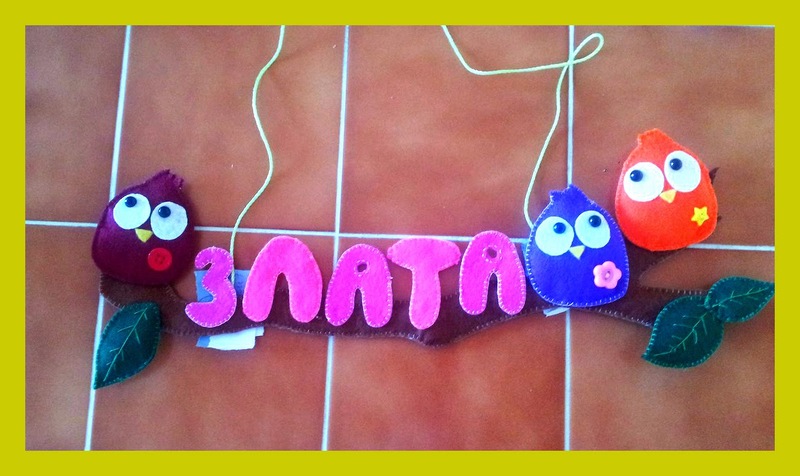 The last sewing step is to stitch name letters together. I've made a duplicate of each letter and to make my work more colourful, I'd used 2 colours of felt. This step might seem difficult, but actually it was the easiest one. To make all letters more stable when you sew them onto the branch, use easy-bend wire and bend it to the shape of each letter- it doesn't have to be perfect. Once you are done with that, put it in between the 2 sides of felt letters and with a blanket stitch sew both sides together. With the wire in the middle, the letter won't fall back when hung. At this stage all your pieces are ready to be put together. Here, you can sew them onto the branch the way you prefer, just make sure the stitches are invisible from all sides when you sew birds, leaves and letters to the branch. To make it easy and neat, you can use fabric glue to do that or in my case I had used a tiny amount of super glue for all letters and leaves ( leave to dry for couple of hours), just because they are small and very close together. To hang your craft, use a ribbon or a twisted rope and sew it/glue it to the back of the branch and you are finished.